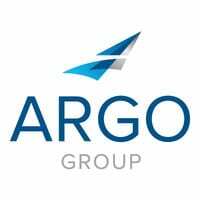 Argo Group is committed to the communities in which the company and its employees live and work. This week, Argo Group will continue its look back at 2016 by showcasing the volunteering and charitable giving by the company to communities around the world. In Bermuda, Argo Group reached an impressive milestone as overall charitable giving topped $1.25 million. In London, the company raised money for a local hospital, joined in the Lloyd’s mentoring program, and volunteered at a cherished city farm. In Toulon, Argo Group reached out to young people by hosting a day of sail training. In Sao Paulo, the company donated 600 pounds of food to the homeless, supported a local hospital, and backed an organization that helps cancer patients. Across the United States, Argo Group raised funds for a much-loved playhouse, stocked the shelves of stores that supply underprivileged kids with the necessities, helped women build skills of self-promotion, gave hundreds of meals through local food drives, and sent school supplies to foster kids. In San Antonio, the company ran a United Way campaign that provided financial support to local frontline charities. Next week, learn about awards earned by the company and its employees in 2016.